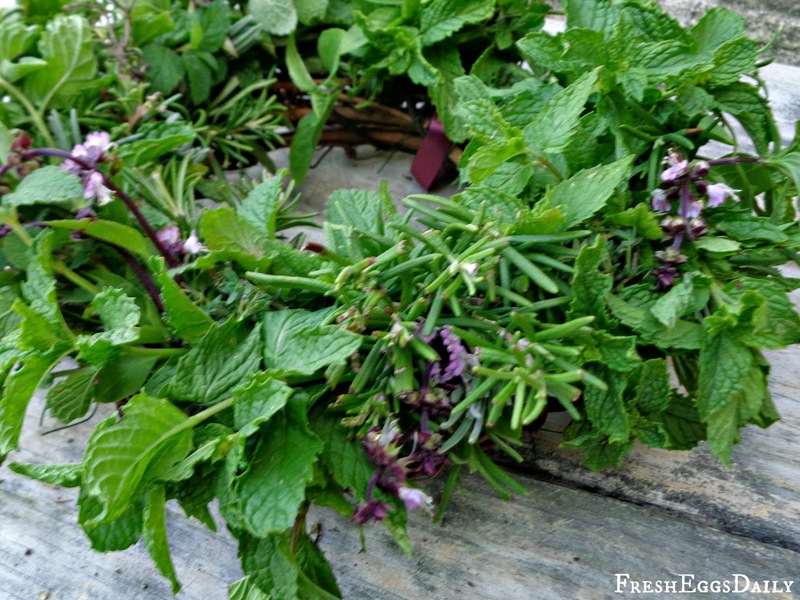 Flies are such a nuisance, not to mention the carriers of germs and diseases. But on a farm, you often can't (or won't) use chemical fly sprays around your animals. 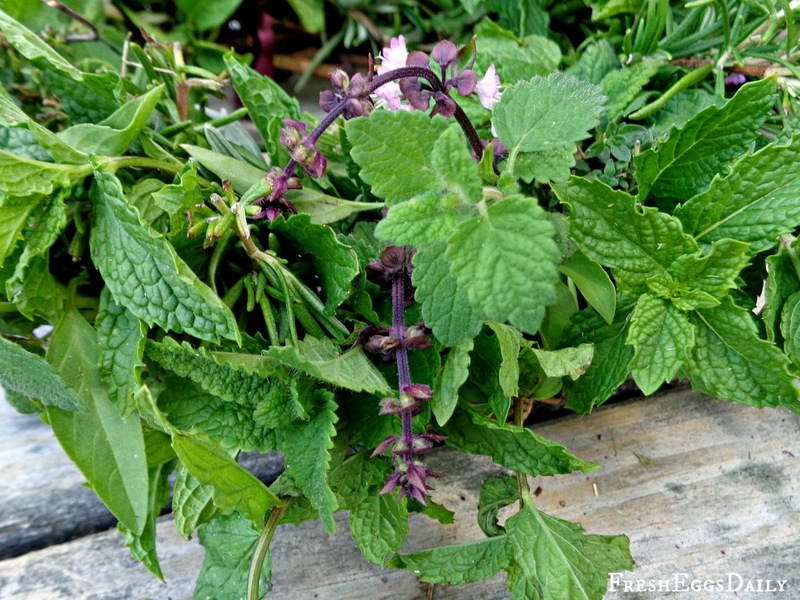 Fortunately, there are a whole host of herbs that help to repel flies naturally. 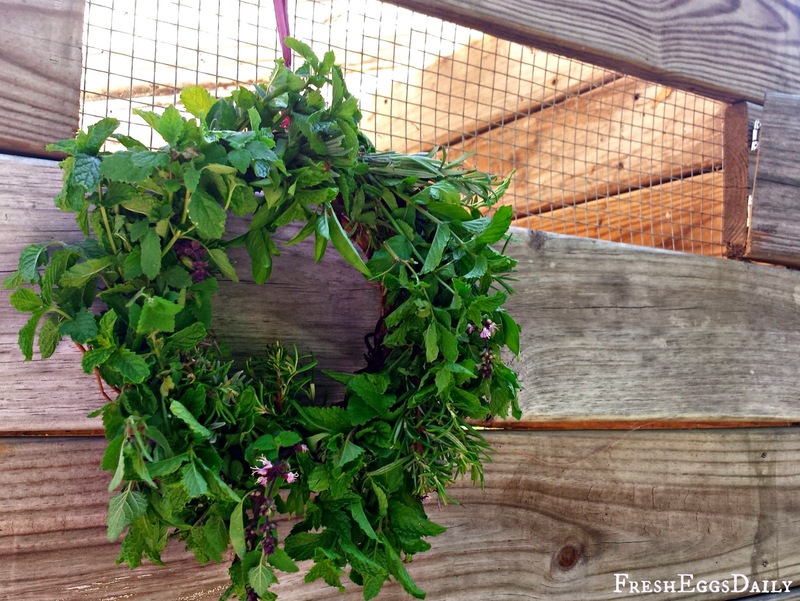 Make this easy herbal wreath to hang in your coop, horse stall or even on the back door of your house to keep flies away this summer. 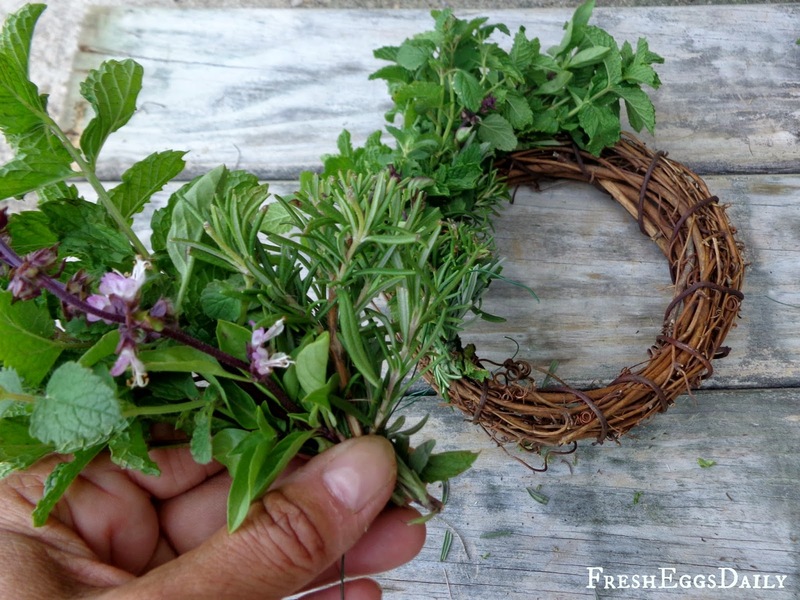 This wreath couldn't be easier to make and only requires a grapevine wreath form, some floral wire, ribbon and scissors - plus the herbs you are going to use. 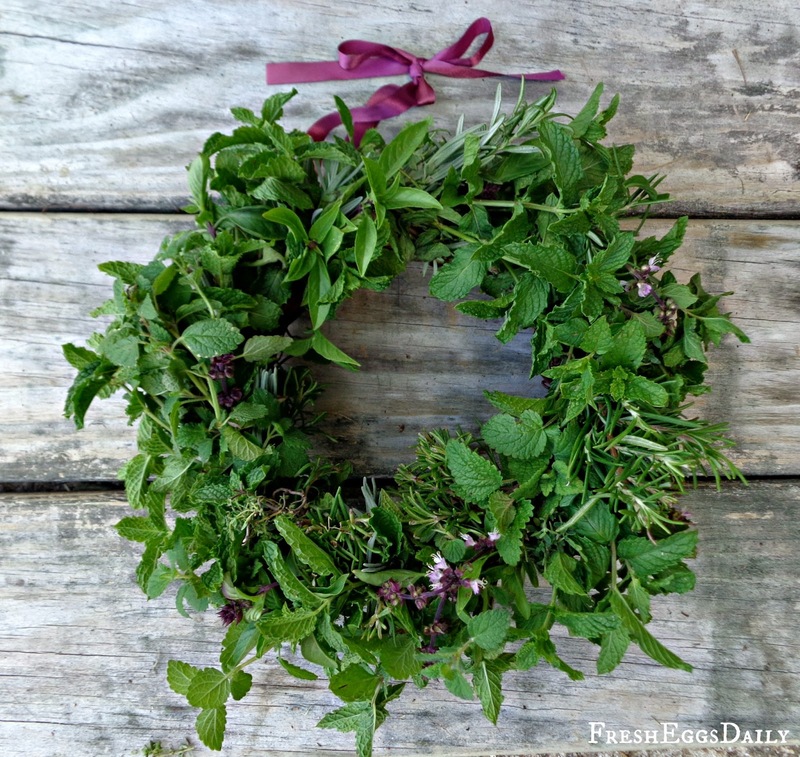 For my wreath I used fresh mint, lemon balm, basil, lavender, rosemary and thyme, but feel free to choose from this list any herbs that you have growing in your garden. 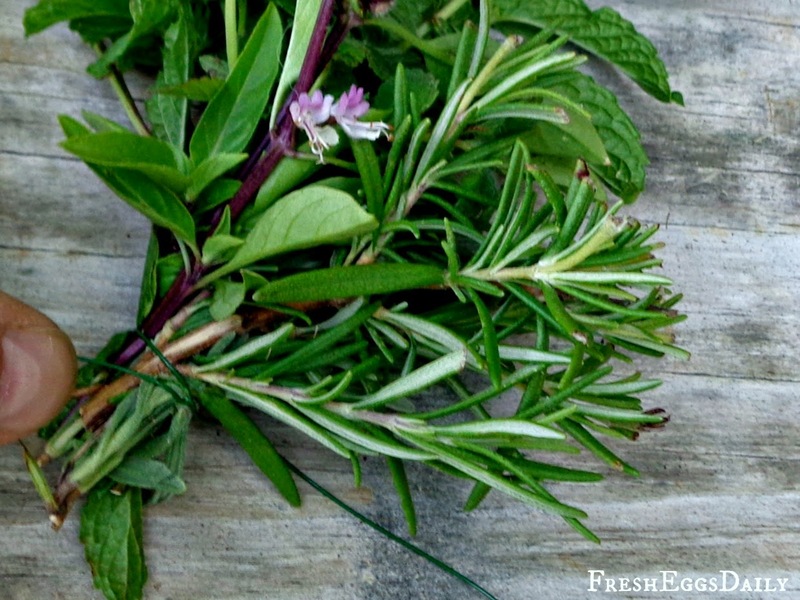 All the herbs mentioned are edible so if your chickens eat them, that's okay too. 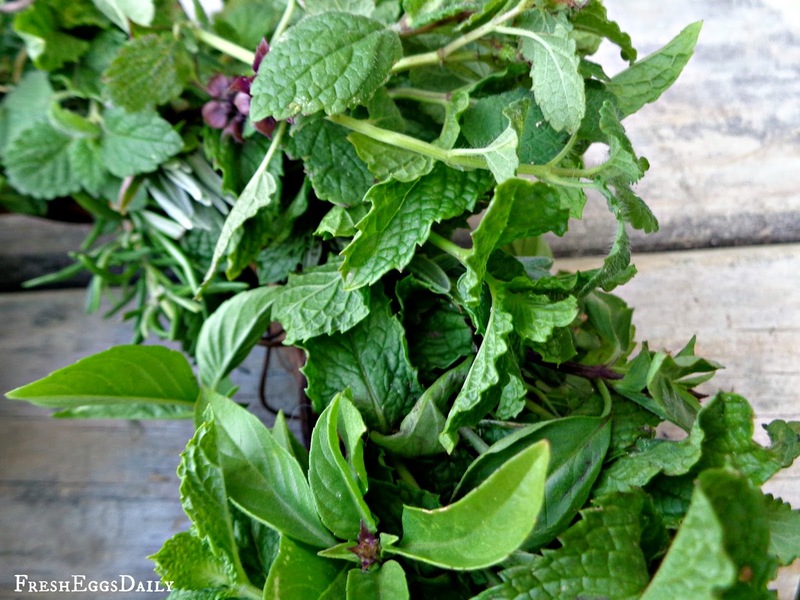 You will need 7-8 bunches of herbs. 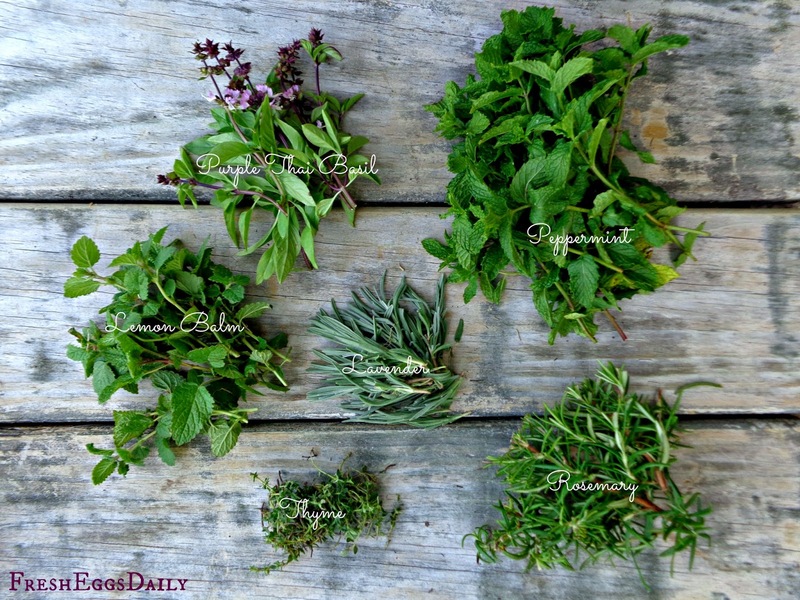 (I used a selection of six different herbs for a nice variety.) 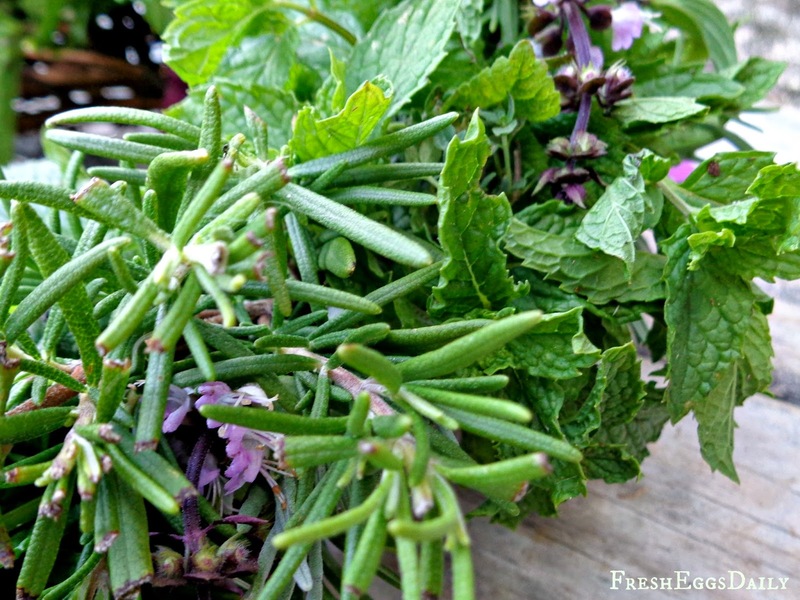 Include a bit of each type of herb in each bunch and arrange them with the stems all pointing in the same direction. 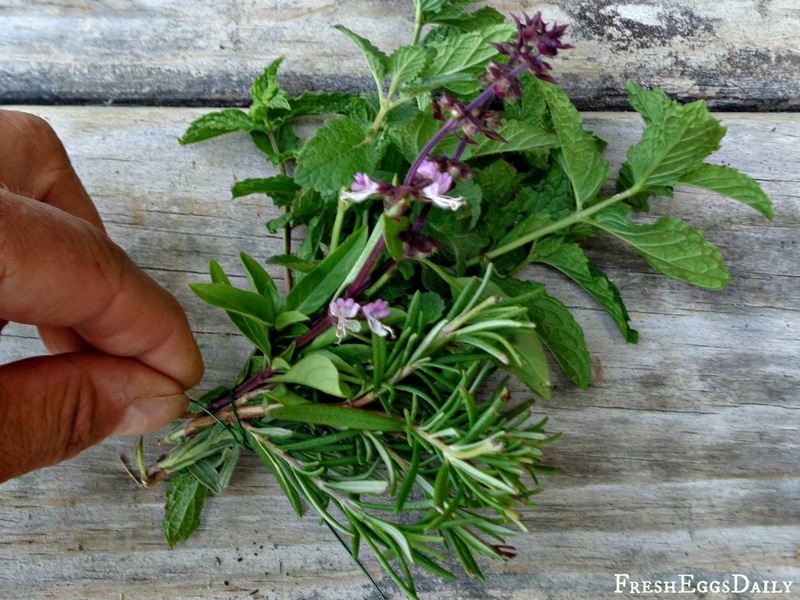 Cut the floral wire into lengths 10-12" inches long, and wrap the center of a piece of wire around the base of each herbal bundle. 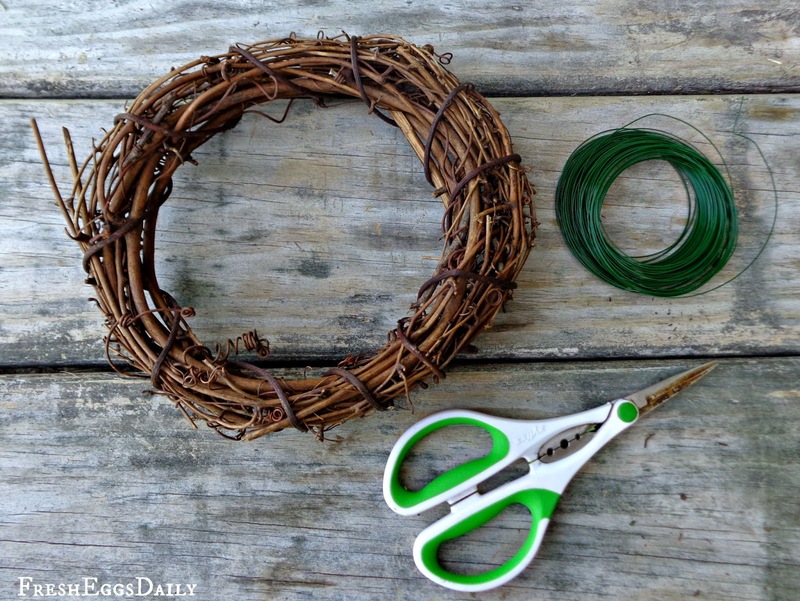 Twist the wire to secure it, leaving two long ends that will be wrapped around the wreath form and twisted in the back to secure each bundle to the form. 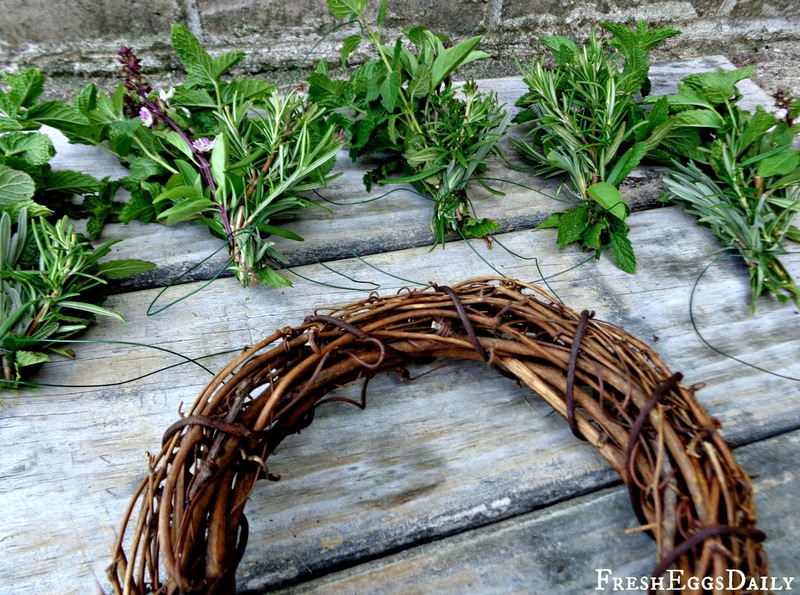 Working clockwise, secure the bunches to the wreath form, overlapping the bundles so the tips of each bundle hides the stems of the previous one. 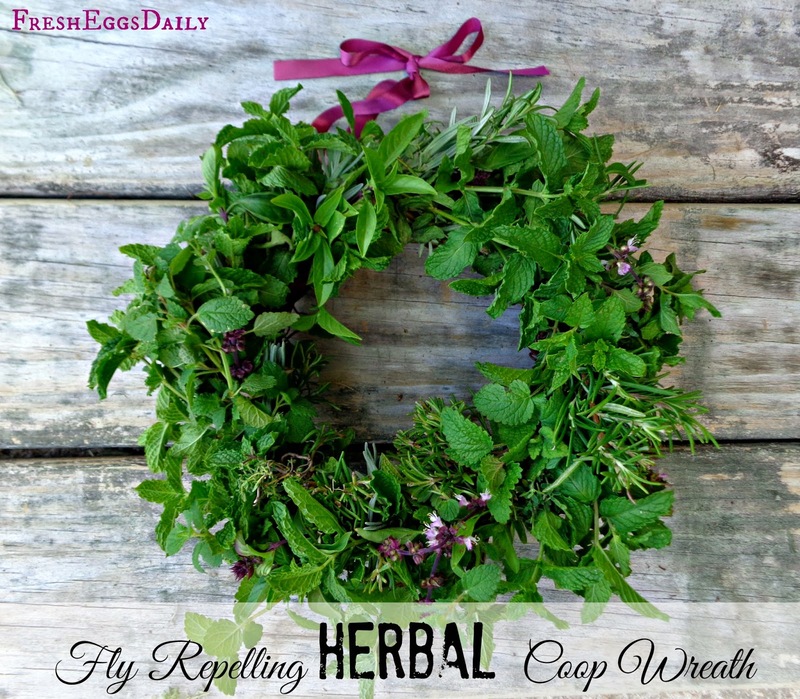 When you are done, attach the ribbon to the top of your wreath to hang it from a hook or nail in your coop, on your back door or anywhere you want to keep fly-free. 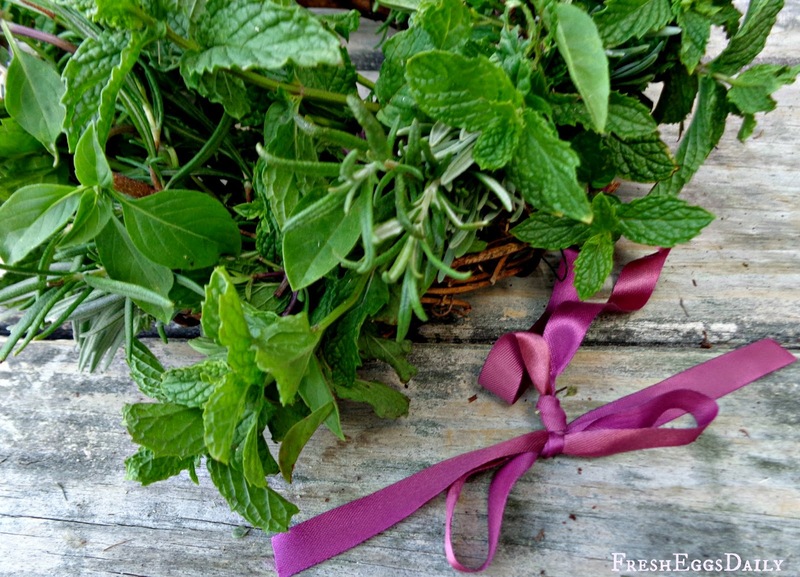 For other natural fly repelling ideas click HERE.